Takes 6 glass fuses, lucar crimp terminals. 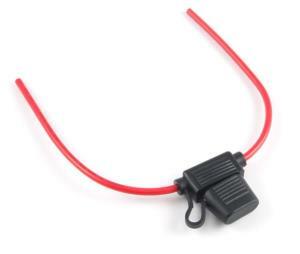 Transparent perspex clip on cover. 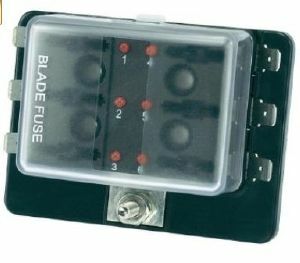 These fuseboxes supply standard blade type fuses outputs via standard 6.3mm spade terminals from one power supply via a 5mm bolt. 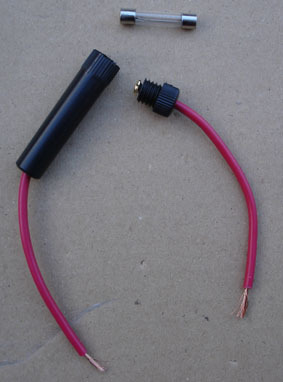 Takes 4 glass fuse, with provision for 2 spares. 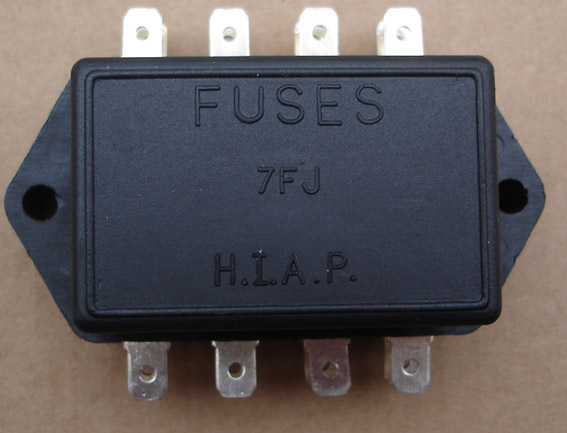 No fuses pre-fitted. Lift-off lid. Base 3 3/8" by 1 3/4"
OE fitment for TRs, late MGB, classic Mini, Cobra, Reliant & others.